Home Entertainment Uncharted 4 Branching Dialogue — "We're Not Making Mass Effect"
Uncharted 4 Branching Dialogue — "We're Not Making Mass Effect"
If it wasn’t already clear, Naughty Dog’s Neil Druckmann has now spoken up to stress that the branching dialogue options in Uncharted 4: A Thief’s End won’t be as ubiquitous or involved as a BioWare game. In an interview with Eurogamer, Druckmann explained that A Thief’s End has a “very specific story,” capped off with an ending that players will not be able to change through branching dialogue options. Naughty Dog said previously that A Thief’s End’s branching dialogue sequences are limited to a “few spots” where their use will be most impactful. 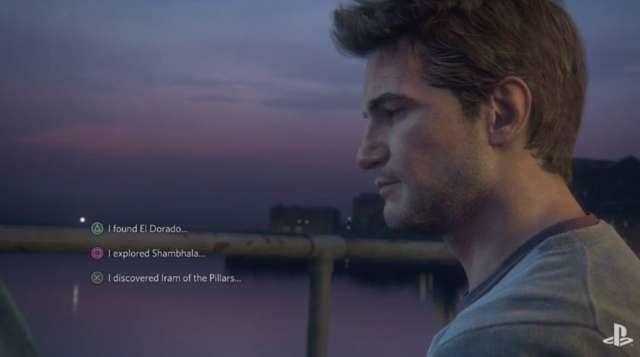 As shown at PlayStation Experience in December, one of these scenes is an early exchange between Nathan Drake and his brother Sam. Branching dialogue is common in role-playing games from BioWare and others, but this is the first time it’s shown up in an Uncharted game. Previously, Druckmann said the events of Uncharted 4 mean it would be “really hard” for Drake to star in a future game. Before that, Uncharted 4 lead writer Josh Scherr said it’s “hard to imagine” the series moving forward without Drake in the lead role.